BeldarBlog: Method to the Socratic madness of law schools? Method to the Socratic madness of law schools? 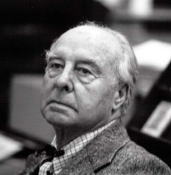 If you don't know what the Socratic Method is, immediately buy or rent and watch the late, incomparable John Houseman — whom I once saw and heard deliver probably the best speech ever given by an actor at a law school — as Professor Kingsfield in the 1973 movie classic about law school, The Paper Chase. By the time you get to the "Mis-tah Haht! Here is a dime ..." line, you'll understand the Socratic Method, and pretty much also understand Professor Leiter's criticism of it. The shortest definition of it is "teaching by asking instead of by telling." It's apparently still at least officially "en vogue" at the University of Chicago Law School, among other places. My own personal and nonfictional introduction to the Socratic Method still gives me occasional nightmares. When I began Texas Law School in August 1977, reading assignments for the first day of classes were posted in advance, and students were expected to be fully prepared to discuss the cases that had been assigned. My property law professor — a very popular, articulate, and charismatic teacher not only at the law school but statewide in CLE and bar preparation courses — not only posted the assigned pages, but warned us that someone "whose surname begins with the letter D will be the first person called upon." Having seen The Paper Chase already, I was appropriately terrorized before class, but I thought I was prepared. Just as Kingsfield had done in the movie, my property prof strode down the aisle of the packed ampitheatre classroom, opened his casebook upon the lecturn with a loud bang, and peered back and forth briefly from his alphabetical seating chart to the rows of terrified students. I could have sworn he was looking directly at me when he said, "Mister ... D______!" But it was the fellow to my immediate left. I managed to retain control of my bladder, but only just. "Mister D_____, please orally brief for the class the first of the assigned cases in our casebook, 'Goddard against Winchell.'" Mr. D_____ cleared his throat and began bravely enough: "This is a case about who should be declared the owner of a meteorite, the passerby who first spotted it, or the farmer in whose field it fell—" when he was interrupted. "Mister D_____! Is there anything you think you ought to have told us before mentioning the word 'meteorite'?" Mr. D_____ scratched his chin and ventured hesitantly, "Umm ... well, a meteorite is something from outer space that—"
"And what did you read before you read about meteorites or farmers or anything else?" A long pause. "Ummm ... ummm ..." At this point, several other hands shot into the air, and thus everyone in the class immediately learned who the self-intended "gunners" for our section of freshlaws would be for the year. But the professor ignored them; his entire attention was riveted on Mr. D_____. "I guess ... I read ... the name of the case—"
"Ex-ACT-ly, Mister D_____! You read the name of the case! What was the name of the case?" demanded the professor. "Uhh ... it's 'Goddard versus—"
"Oh, IS it now? Is it 'versus,' Mister D______? Or is it an abbreviation, 'vee ess' followed by a period? Or perhaps just a 'vee' followed by a period?" "Or was it the word 'against' instead? And Mister D_____ ... why does this matter?" "Uhhh ... ummmm." I remember at this point looking beneath Mr. D_____'s chair to see if there was blood on the floor yet. "Who sued whom, Mister D_____? What, if anything, does the name of the case tell us about that? And why does that matter? Or does it?" By this time the responsive noises coming from Mr. D_____ could no longer be expressed in any alphabet known to any linguist on earth. "Does the order of the names tell us who originally sued first, or does it tell us who lost and therefore was the party bringing the appeal? Eh, Mister D_____? Speak up, man!" And so forth, on and on about the case name. "Do the first names of the litigants matter? Why not? What if the litigant has a common name like Smith?" The professor finally broke down and told us all something about what one can usually deduce from the order of the litigants' names of the appellate opinion, but he let us know that this was an exception — did we expect to be spoonfed? — and we all breathed a giant sigh of relief for poor Mr. D_____, who we assumed was now off the hook. But no. "Continue, please, Mister D_____." "Ummm, okay. Ahh. Uhh. This was a case about a meteorite—"
Mr. D____ was on the hot seat for the entire 50-minute class, and he never got to discuss the actual facts of the case or its holding. When the bell rang, the Professor concluded by saying, "We'll continue with Mister D___'s briefing on 'Goddard against Winchell' tomorrow" — whereupon Mr. D___ leapt from his seat and bolted from the classroom to the nearest lavatory, where he was heard losing his breakfast into a toilet. But the next day, we did not continue with Mr. D____. He wasn't there. Although he was a smart kid who'd graduated at the top of his class from a smaller college in a nearby state and practically aced the LSAT, he was clearly unprepared for the emotional stress of the Socratic Method as violently administered, and he dropped out. I don't know if he found another law school or became a dentist, but we never saw him again. That's an absolutely true story. And yet I don't hate the Socratic Method. My recollection of my classes during my second and third year of law school, when it was less frequently used, is that on the whole those classes tended to be more tedious and boring. Lectures get dull if you're not being asked open-ended questions that follow in a logical sequence, one upon another, and that are grist for debate. Yes, it can be a brutal shock and it can be overdone, as it was in the case of poor Mr. D_____ — but so can non-Socratic Method questioning, for that matter. In fact every single question that Mr. D_____ was asked is something a practicing lawyer needs to know in order to evaluate what significance to give an appellate opinion in any field of law; although brutal, in hindsight my property professor's questions were a bravura performance. And I vividly remember that day and that class twenty-six years later; I can't say the same for any lecture I've ever seen. Socratic method examinations don't always have the quality of watching a slow-motion train wreck that it had for me and my classmates on that first day of class, but on the whole, the performances I saw from my classmates were interesting enough. Oftentimes they taught me something, and I think sometimes they taught the professors something too! And if one can't learn something even from a classmate's bad performance, one isn't flexible enough in one's notions of learning. Law is, after all, an art and not a science, and it varies with every performance. There was indeed a substantial grain of truth in The Paper Chase, and by the end of that movie one understands why Harvard 1L James Hart has run through the full range of emotions toward Professor Kingsfield, from hatred and loathing, to grudging respect and admiration, to ultimate affection and appreciation. I will grant you that few professors can perform the Socratic Method of teaching at the "Kingsfield" level; but then, I've never made a closing argument quite as good as the ones they make every week on "Law & Order" or "The Practice" — yet I still enjoy those and occasionally get an idea from watching them. And here I thought John Houseman's Kingsfield was more fiction than fact. The show (based on the movie) was amazing - and always fun to watch.